– GOTO: The ability to jump around arbitrarily in G-Code. – IF: The ability to make decisions based on Conditions. – WHILE: The ability for G-Code to perform repetitive tasks. So far, we’ve learned how to parameterize g-code with variables and expressions and how to package it into building blocks using subprogram and macro calls, but these three simple concepts of GOTO, IF, and WHILE, will boost the power of g-code even further. Sometimes we don’t want to just keep executing g-code one block after the other from top to bottom. It can be helpful if the g-code jumps around. 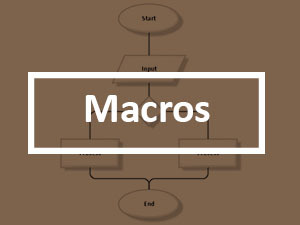 We’ve seen some of this jumping in the form of subprogram and macro calls, but those are specialized kinds of jumps that assume you’ll want to pick up right after the jump after the subprogram or macro finishes. That program snippet uses a GOTO whose address is “120” to jump over N110 and go directly to N120. 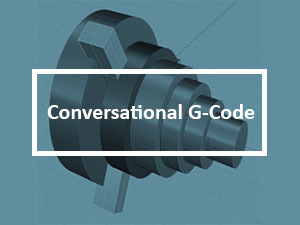 The G-Code has no choice in the matter, it will always follow the GOTO, and for that reason, GOTO is sometimes referred to as an “Unconditional Branch”. If all we added to the G-Code language was the GOTO, it would not be all that useful. Perhaps it would be handy for temporarily jumping over some code. It’s certainly easier to stick one GOTO in to jump over code that to go through line by line and add a Block Skip (“/”) character, but that’s about it. The real power of GOTO comes when we’re able to let the G-Code make decisions about when to use the GOTO. For that, we use the “IF” statement. The entity enclosed in the square brackets is called a “conditional expression”, and they don’t really look like “condition is true”, that’s just an English translation of their general form. That “[#100 EQ 0]” is a conditional expression that checks whether the value of #100 is zero. If it is, the G-Code will perform a GOTO taking it to N110. If its value isn’t zero, the G-Code falls through to the next line, which we see is an alternate GOTO that takes us to N200. That’s how conditional branching with IF and GOTO work together. Note that the line following the IF statement could have been anything, it doesn’t have to be a GOTO. We can put any macro expression after the THEN, but no g or m-codes. If you want g or m-codes, use the GOTO’s to arrange to go to lines containing those codes. – Conditional expressions must be enclosed in square brackets (“[” and “]”). – A Conditional Expression consists of two operands and a comparison operator. – An operand may be a # variable or a number. Those are the basics. Be sure to consult your CNC controller documentation for more details. G-Wizard Editor will do a quick check on those rules for you and flag expressions that need to be conditional but that are not. WHILE uses a Conditional Expression just like IF, and it is subject to the same rules. 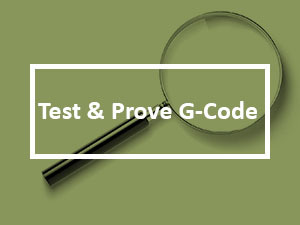 In WHILE, the Conditional Expression will case the g-code blocks between the DO and END to be executed over and over while checking the Conditional Expression. So long as it is true, the WHILE loop will execute again. Once it turns false, execution skips the blocks between DO and END and goes directly to the block following the END. That’s all there is to it. We use g-code variable #100 as a counter. It starts out as 1, and we add 1 to it each time around the loop. So long as it is less than or equal to 5, we keep doing the loop. When it gets to be 6, it is greater than 5, so the Conditional Expression becomes false and we immediately skip running the loop and go to whatever g-code follows the END for the loop. Remember to keep the correct number so the correct END goes with its DO! I hadn’t had the pleasure of seeing this behavior from Mach, so I thought I’d learn something knew by helping diagnose the problem. I also suspected I could make GWE better in the process, and no sooner did I load this machinist’s program than GWE promptly locked up and started acting hung. Excellent–that which does not kill us, makes us stronger! It didn’t take long looking at the program in Notepad to see what was happening. Looks like BobCAD wants to create a subprogram for each machining operation and then call them one after the other at the top. It can make reading the code less than obvious, but it is not that uncommon a practice. Unfortunately, for some reason, the software forgot to put a program stop after it was done calling the subprograms for each operation. This caused execution to just fall through the bottom of the main program and start executing the very first subprogram all over again. The subprogram wasn’t expecting this, since it was designed to have been directly called with an M98 (if you’re not following these g-codes, don’t worry, I will explain them in our G-Code tutorial). When the subprogram gets done, it uses an M99 to return to the block right after the M98. Therein lies the problem. If it was never called by M98, there is no return location. Most g-code dialects, when faces with an M99 and no M98 having called will simply start executing the very first line of g-code at the top of the program again. It’s not the worst choice they could’ve made, but I would’ve preferred an error (or alarm as the CNC world likes to call them) be issued. Instead, we get a situation where this particular program was going round and round doing everything over and over again. Now that Mach3 message makes a bit more sense. We did indeed issue a “Return” (M99) without a “Sub” (M98) in effect, and so we are indeed “looping”. In fact, we’re engaged in what the software world calls an “Infinite Loop”. Absent the operator stopping the program, it will never stop of its own accord. The fix is easy–just add an M02 in the right place to stop before falling through to the subprogram. This code just draws a little 1″ square, then it calls the subprogram at line N600. Execution would jump down to the sub and run until it hits the return “M99” at line N1100. Right below the sub call I have commented out the line that should’ve been there to stop further execution–see line N800. We needed an M02 right there to stop the program. 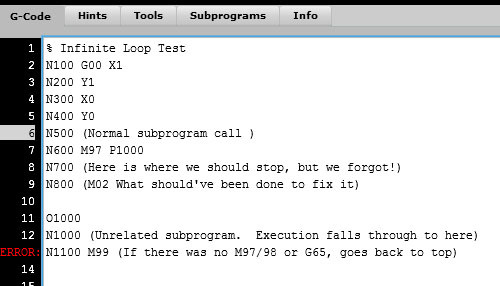 Since there is nothing there but a comment, the g-code falls on through N800 and starts executing the subprogram below. DOH! How about a little help finding these things, G-Wizard? Well why not help, it isn’t that hard. 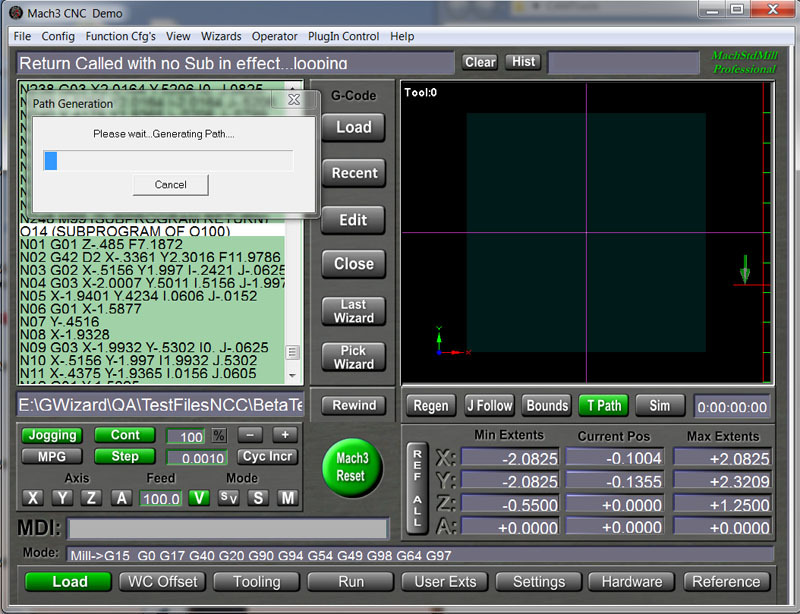 Two capabilities were added to the GW CNC Editor–the ability to detect and automatically stop infinite loops, and a simulator enhancement that makes it easy to step through and see what all those M97/98/99, G65, and GOTO (if you run Fanuc Macros) commands are doing. BTW, can you see how that hint makes it a whole lot easier to understand what all is going on there than just starting at “N1100 M99”? 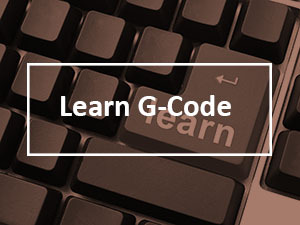 Hints are designed to refresh your memory, teach you what the g-codes mean, and provide information that is otherwise hard to come by for deeper understanding. Isn’t that just what we need from a CNC Simulator? 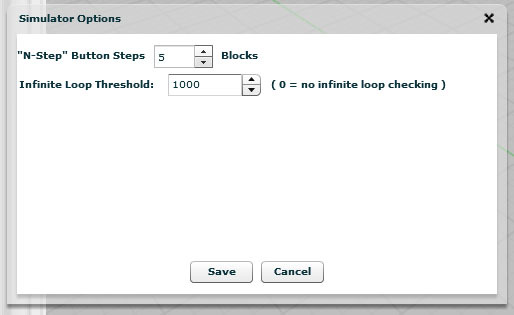 – Step by any number of blocks, the default being “5”, hence the name. – Step to the next rapid move. This is likely a retract that lets you get past a bunch of feedrate moves you’re not interested in. – Step the the next Dwell (G04). This is a sneaky one. Dwells typically don’t affect a program much. So you can stick one in and use it as a bookmark. Use “5 Step” to jump to your next “bookmark”. – Step to next toolchange (M06). Always a popular time saver. – Step to the next subprogram op or GOTO. This is our new addition. Stepping to a goto makes navigating through these subprograms fast and easy. If you’re going to be working on a g-code program with a lot of goto-activity, I’d recommend you get a flavor for the high level workings by using the “Step to the next GOTO” option first. That’ll let you breeze through, see who is calling who, and understand the high level structure of the g-code. You’ll also see the effects of each subprogram unfolding on the backplot. Take a note or two on what you want to revisit and dig deeper into. Drop some G04 Dwells, switch to stepping to dwells, and you’ll be able to focus on those areas. If this all sounds interesting, useful, or even fun, please join our G-Wizard Editor Trial. The editor is free for a 30-day trial and useful for all sorts of things. 1. Create an infinite loop in a subprogram so you can see how GW Editor detects them.